I think I’ve made it clear since the launch of the Moto X that I’m a huge fan of what Motorola has done with the first phone that many would consider to be a true reflection of the “new” Motorola (our review). The size is just right. It feels like it was hand-crafted to sit in the palm of your hand. It offers software enhancements like Active Display and Touchless Control that actually make the phone stand out from the crowd. You can customize its design and appearance to your liking, a service no other phone manufacturer has even attempted to offer. It’s also available on all major carriers and now at incredibly reasonable on-contract and off-contract prices. Oh, it’s also running stock Android. But outside of all of that, beyond the features that have helped keep this phone in our pockets for months, there is one reason that we’ll continue to keep it by our sides for the foreseeable future – timely updates. Last week, during the Moto G unveiling, CEO Dennis Woodside said that we should expect to see Android 4.4 “Kit Kat” updates for the Moto X in a matter of weeks. We thought he meant that the update would be ready and then carriers would take their sweet time approving it, before finally releasing it to the public a month or two or even three later. And then the soak test invites went out for Verizon’s variant. 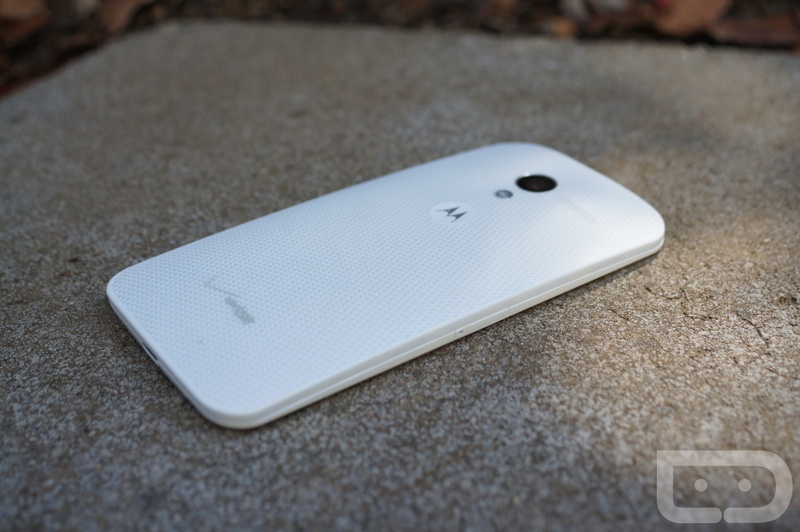 We said we fully expected it to be Android 4.4, and sure enough it is. The soak test should arrive at any time, giving Verizon Moto X owners Kit Kat less than 3 weeks after Google made it official. Think about that for a second. We have lived for years in an Android update cycle that included a release by Google followed by two to four to nine months of waiting for the update to arrive on top tier handsets. Motorola is doing it in less than three weeks. Most of Google’s own Nexus line just received the update last week, with some of the OTA files for devices like the Nexus (2013) with LTE not seeing it at all yet outside of a factory image. This is practically unheard of for an Android OEM. Now, this is a soak test for only one variant of their Moto X, but still, you have to believe that the others won’t be far behind. When Motorola pushed out the first massive update for the Moto X, which included dramatic camera improvements, they had it ready and rolling to all variants within a few weeks of each other. I’d imagine we’ll see similar results this time around as well. When the new leadership of the “new” Motorola took over last year, they talked a lot about the broken update cycle and how they planned to change the way it works. We have seen OEMs make promises to change this for years, but this is the first time that any of them have actually delivered. 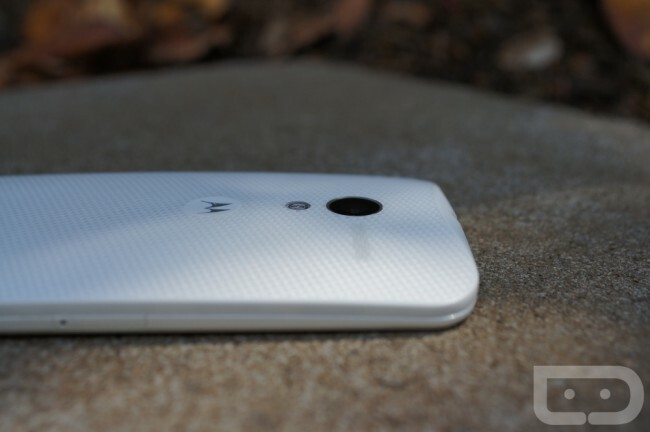 And the good news is with Motorola devices like the new DROID family, they shouldn’t be far behind. What makes this delivery even more special, though, is the fact that since Motorola joined Google, both companies have insisted that Motorola isn’t receiving special treatment from Google or the Android team. In fact, they often refer to there being a “firewall” between the two. We should keep in mind that since Motorola has chosen to use mostly stock Android, updates should be easier to produce, but that’s not a negative. Tech enthusiasts like us tend to prefer stock to the at-times overwhelming custom skins from Samsung and LG. Plus, if updating can be this easy without a skin, this only solidifies the argument against custom OEM skins even if they are used as a way to differentiate. I guess users will ultimately decide if timely updates are more important than two-dozen features that you may or may not ever use. I think you know where I stand. I’m currently working on my Nexus 5 review (which is taking some extra time thanks to a major life change in the last week), but can tell you that before Android 4.4 was announced for the Moto X, was planning on returning to it once finished. The Moto X, outside of a somewhat spotty camera (though it has been improved and is still better than that of the Nexus 5), was already great. But if Motorola can push out massive updates like 4.4 before even Google can (and especially any other OEM), how can you not be a fan?